A great coastal town for traditional seaside holidays, Dawlish has everything you could need for a fun-filled weekend away with family. 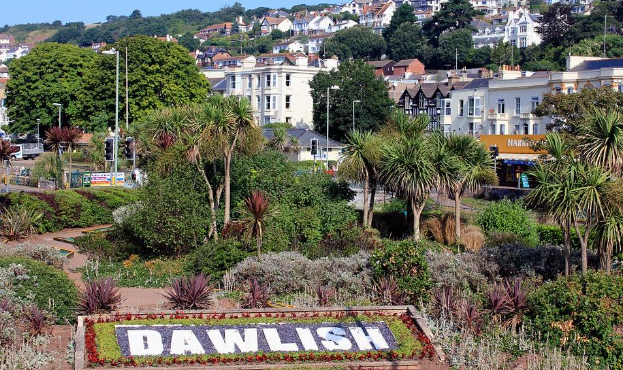 There are sandy beaches, plenty of attractions, walking and cycle routes, golf courses and more to see and do around Dawlish. The town has been a popular holiday destination for decades, and when you are looking for wedding hotels in Devon and want a location that guests can enjoy a weekend at too, Dawlish is a fantastic option. The stunning coast, top attractions and easy connections around South Devon make it an ideal location. Our hotel is a perfect choice for a wedding venue and hotel for guests coming in from around the country. Take a look at the packages we offer on our site. Read on to see some of our suggestions on how to fill a weekend in Dawlish with lots of fun things to do! Starting your weekend off with a round of golf will set the mood for the rest of your mini-break. At Dawlish Warren Golf Club, visitors are welcome any time, and there are often seasonal offers available. A true links course located at the mouth of the Exe estuary, it is a challenge for golfers of all abilities. The course has 18 of the finest greens in the South West and with breathtaking views, playing golf here is a wonderful experience – we have no doubt you’ll want to book a golf holiday to Dawlish afterwards! 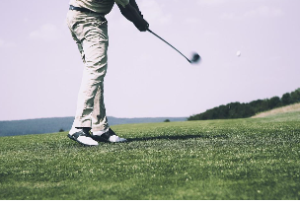 If you don’t fancy a round of golf, why not have a slow morning, tucking into breakfast at Langstone Cliff before heading into Dawlish’s town centre, window shopping and visiting some of the art galleries in the town? Dawlish has a few independent art galleries which exhibit and sell the work of local artists. If you fancy taking home a unique souvenir to remember your time in South Devon, a piece of work from one of the galleries will be something extra special. You may also want to check out the gift shops which can be found near The Lawn, a public park in the centre of the town. In the afternoon, after a light lunch at one of Dawlish’s top cafés such as The Strand Café or Willos Café, heading to the beach to relax is a good way to spend your time. 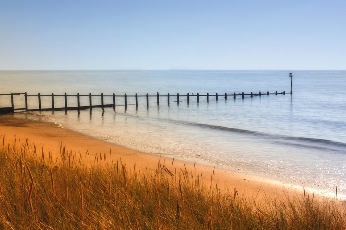 Dawlish Town Beach is a short walk from the centre of the town, and it’s golden sands are perfect for families wanting to build sandcastles or couples who just want to lie back and sunbathe. If you are visiting in the colder months, why not just walk along the beach front? You may want to extend the walk to Dawlish Warren Beach and the Dawlish Warren Nature Reserve, just under two miles away. The beautiful sand dunes are a bird watcher’s paradise, and the nearly four-mile walk to Dawlish Warren and back is a lovely way to spend an afternoon, as the route on the South West Coast Path boasts spectacular views of South Devon’s coastline. At Langstone Cliff, we offer evening meals between 6.45 and 9pm, and we have our own stylish bar, but you may choose to dine out or have evening drinks elsewhere. Dawlish has several family and dog-friendly pubs, serving delicious pub food and a range of alcoholic and non-alcoholic drinks. We recommend checking out Lansdowne or The Smugglers Inn. Lansdowne is a good old fashioned pub, and The Smugglers Inn is a little out of town but the modern bar, carvery menu and sea view have made it a popular place with visitors and locals alike. Start your Sunday with a hearty breakfast at Langstone Cliff before heading down the coast to Teignmouth and Shaldon. On opposite sides of the mouth of the River Teign, Teignmouth and Shaldon have plenty to offer visitors who are only visiting for a short time. In Teignmouth, you could walk along the Victorian Pier and wander along the beaches. Catch a ferry over to Shaldon and explore Homeyard’s Botanical Gardens. From the gardens, there are the views of the Teign Estuary to admire, and on clear days there are amazing views of the rugged Jurassic Coast. The gardens themselves are worth your admiration too, with its secret garden, exotic plants, Italianate garden and floral terraces. End your weekend with a traditional British pastime. Afternoon tea is a delightful way to end your weekend and can be enjoyed by anyone. 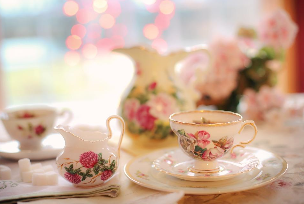 There are a few places around Dawlish that offer afternoon tea, such as A Piece of Cake Tea Rooms and The Old Mill Tea Room, but you may be interested to know at Langstone Cliff Hotel, the comfortable public rooms are a perfect spot for tucking into afternoon tea. There are several seating rooms to choose from, though teas can be served nearly everywhere in the hotel – just ask at the Lincoln Bar when ordering. In the summer, it is lovely to sit out on the lawns or Verandah. Afternoon teas include a selection of sandwiches, a scone, a selection of bite-sized cakes and tea or coffee. If you don’t fancy a whole afternoon tea, Devonshire cream teas are also available. If you do choose the Langstone Cliff for afternoon tea, please book it a day before. What are you waiting for? Book your weekend away to Dawlish today with us, and inquire about wedding packages too!